The Support View app provides visibility to support tickets that clients have opened from the Zendesk interface. If the CSM has a Zendesk license, a link to each ticket is available in the view that will open the ticket directly in Zendesk in a new browser tab. This article covers specifics about the Zendesk integration. These are required in order to complete the integration. A Zendesk "company ID" is required to associate each company from Zendesk with its respective client record in ClientSuccess. On your initial integration of CS with Zendesk, this can either be done one by one as clients are added to ClientSuccess in the support view window, or we can help you with the first-time association in bulk by sending them to us as a csv import via support@clientsuccess.com. The import MUST include the Zendesk Company ID and the client name EXACTLY AS IT IS IN ClientSuccess. If the company names are not exactly as they appear in ClientSuccess, we will not be able to match them to the Zendesk ID. As long as your installation of Zendesk is active, and you've connected to your Zendesk instance inside ClientSuccess (Global settings > Apps & Integrations > Support Integrations > Zendesk), notify us via the in-app Help button and (as long as the client names in Zendesk and ClientSuccess match exactly) we can pair the ID's automatically going forward. This article explains how to create Organizations in Zendesk and how to locate the Organization ID. You’ll need to replace “[subdomain]” in the sample URL above with your actual Zendesk subdomain. The results that appear on the screen will look like code. 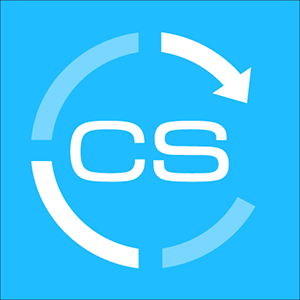 Simply copy and paste it and send it to support@clientsuccess.com and we will be able to extract the org IDs from that and import them into ClientSuccess. NOTE: If you do not have an external ID that you are pairing, we will default pair to the customer name which the Zendesk name MUST match the ClientSuccess name exactly in order for us to properly pair the two.